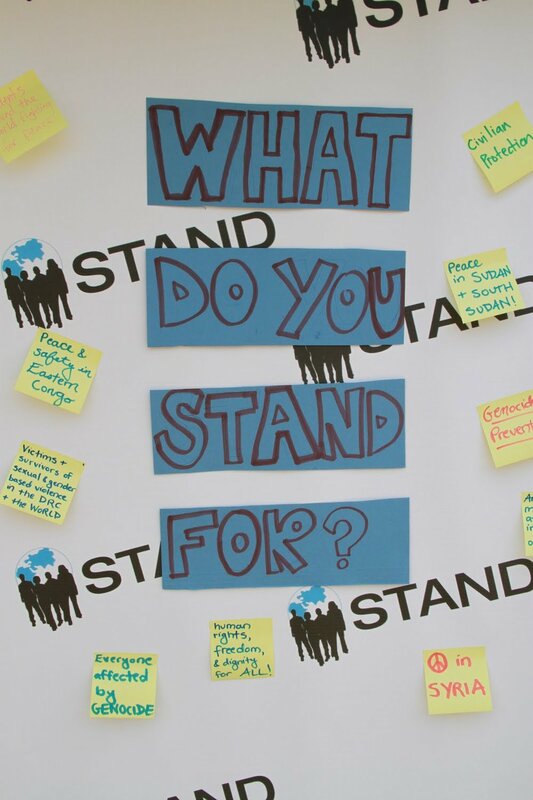 Founded in 2004, STAND is a non-partisan global network of young voices and the only student-led organisation committed to preventing and ending mass atrocities. Supported by the Aegis Trust, STAND works in the UK, USA, France and Canada to mobilise grassroots advocacy for atrocity prevention. STAND students take action by sounding the alarm on emerging and ongoing atrocities to make atrocity prevention a national priority. 2) We believe the UK has the capacity and responsibility to better prevent and end the world’s worst violence. We call on elected officials and partner with non-governmental organisations, displaced and diaspora communities to raise the profile and take action on under-reported cases of atrocities worldwide. 3) We educate, empower and mobilise young people across the UK to encourage engagement in advocacy, campaigning and political discussion. What do we offer young people? 2005: The Darfur movement quickly became the fastest-growing and largest student movement since the anti-apartheid movement. By the end of 2005 STAND had been established in Canada and STAND chapters (UK translation: societies) were present in over 300 US colleges. At its peak boasted a network of over 700 chapters. 2009: Supported by the Genocide Intervention Network, and subsequently, United to End Genocide, STAND expanded its mission: to end and prevent mass atrocities wherever they may occur. Whilst continuing to focus on Sudan and South Sudan, STAND widened its focus to Burma, the Central African Republic, the Democratic Republic of Congo, Syria and Yemen. Alongside conflict specific foci, STAND students began promoting long term policy solutions to US government officials to prevent mass atrocities, focus on civilian protection in ongoing conflict and invest in long-term peacebuilding strategies. 2015: STAND merged with a new parent organisation, the Aegis Trust, allowing STAND to strengthen its impact and broaden its resources to fight against genocide and mass atrocities internationally. 2016: Supported by Aegis, STAND expanded overseas. 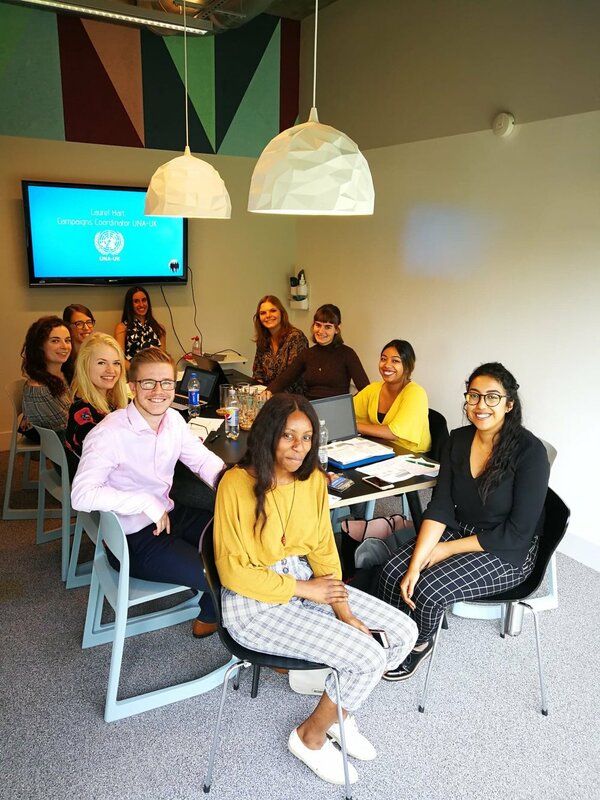 Inspired by STAND’s work, a group of innovative students from the UK came together to create the first UK branch of the organisation: STAND UK. 2017: A STAND UK Alumni member moved to Paris and united students together to create the first French STAND branch: STAND France.